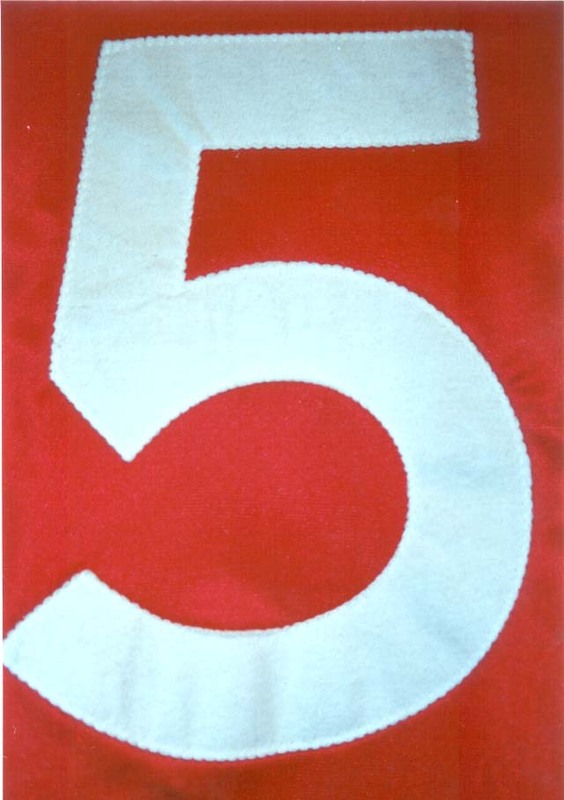 - This number 5 shirt belongs to Ronnie Whelan. 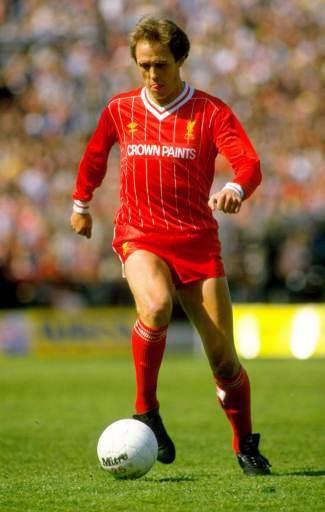 Featured Phil Neal wearing a home pinstriped shirt with one-lined capital letters Crown Paints sponsor. This player shirt has a one-lined Crown Paints logo in capital letters. 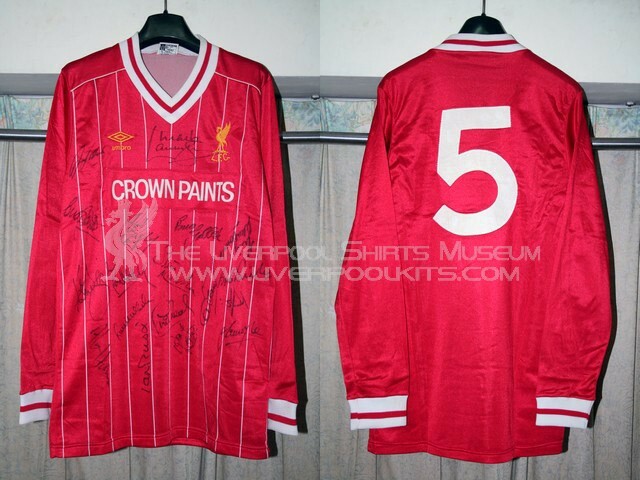 This was then worn during some of the early part of the season 1983-1984, when it was decided by Crown Paints and Liverpool that the logo on the front of the shirts was so small, it just could not be seen on TV or by the fans, and the words could not be read by anyone watching. Crown Paints were worried they were not getting the best from the deal. To overcome this new obstacle the only choice left open to Liverpool and Crown Paints was to redesign their logo once more. One way around this was to write "Crown Paints" across one line of the shirt instead of two. Thus the letters could be a lot taller and the company name could then be read much easier by anyone at home watching TV. 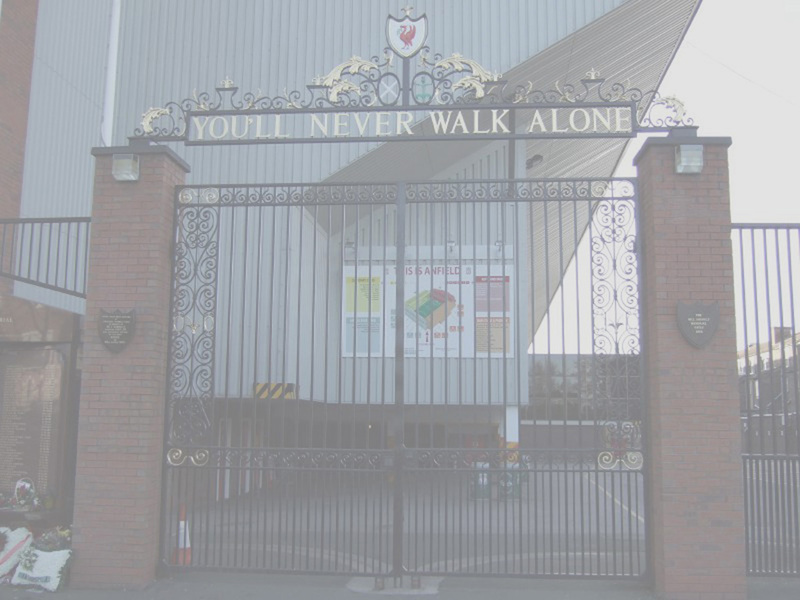 However, as Liverpool had just taken delivery quite recently of a whole new stock of shirts with the small logo in two lines, there was not the funds to order and produce a complete new stock of shirts once more that season. To get around this the logo was printed onto a thin piece of similar red cloth. 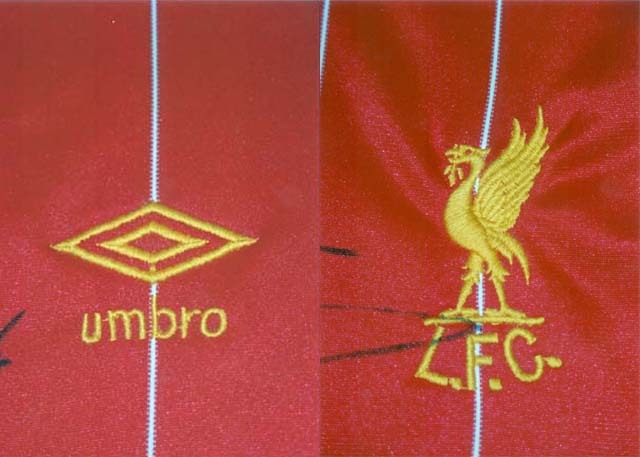 This was then stitched onto the front of the plain type of shirt without any sponsorship logo. 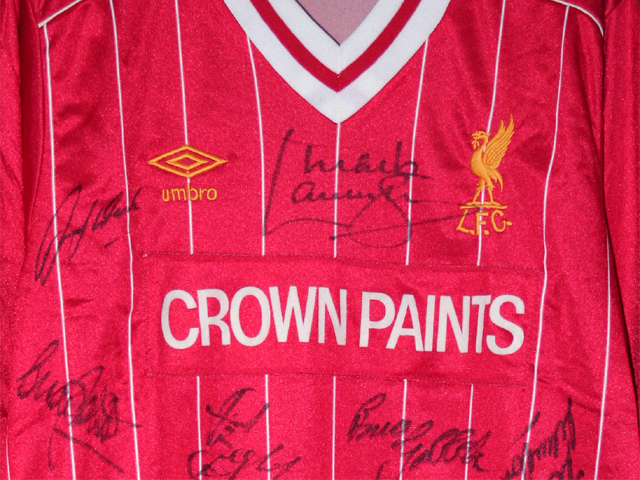 The end result was the classic one line Crown Paints shirt seen here. It was first seen in the winter of 1983 and was used up until the shirt was changed in the summer of 1985. This type of cost cutting was seen often in the early 1980s when there just wasn't then same amount of money in football as there is today. Rather than ordering a whole new batch of shirts to be produced it was felt that it was more cost effective to use the stock of plain shirts that the club already owned and then add this strip across the front of them. Hence the one-lined Crown Paints shirt was born. 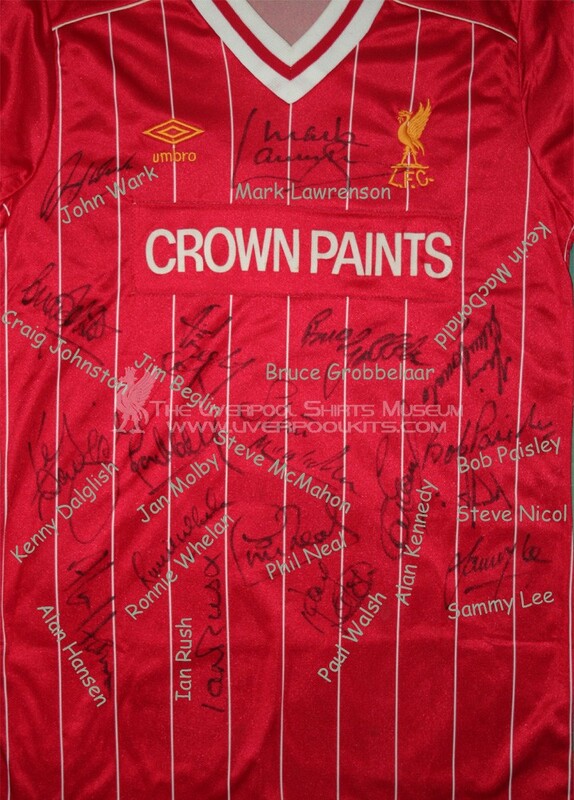 The genuine player shirt is fully autographed by the Liverpool squad players and manager Bob Paisley.